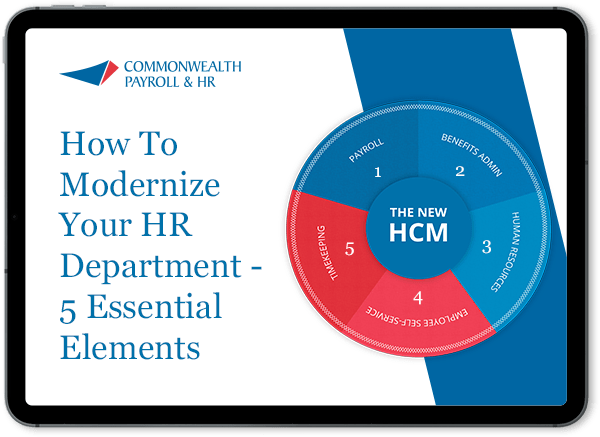 You need a Payroll & HR solution that makes sense for your company but won’t break the bank. Your employees may be demanding systems reserved for much larger companies, but you don’t have a big business budget. Respond to your employees’ demands for more online self-service and better benefits with a holistic solution built for your small business. For today’s savvy employees, a payroll-only service won’t cut it any more. 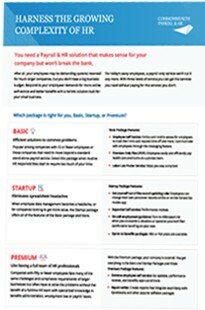 With three levels of service you can get the services you need without paying for the services you don’t.